Cliff Bleszinski says the next generation of consoles must "damn near render Avatar in real time." 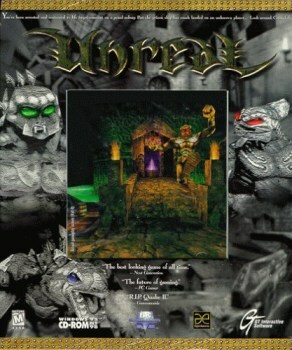 The Unreal Engine has been around in various forms since the 1998 release of Unreal, which actually wasn't all that great as a game but looked absolutely stunning. Since then, successive generations of the engine have powered dozens of games, from Deus Ex to Duke Nukem Forever, and with a new console generation looming, a fourth version, described by Wired as "representing nothing less than the foundation for the next decade of gaming," is now ready to go. That's a pretty bold statement, but Wired went even further, proclaiming that the engine will streamline development, make the videogames of the previous generation "look like puppet shows" and even have an impact on how Sony and Microsoft develop their next consoles. And it's a sentiment that Bleszinski, the design director at Epic, isn't shying away from. "There is a huge responsibility on the shoulders of our engine team and our studio to drag this industry into the next generation," he said. "It is up to Epic, and [Epic CEO] Tim Sweeney in particular, to motivate Sony and Microsoft not to phone in what these next consoles are going to be. It needs to be a quantum leap. They need to damn near render Avatar in real time, because I want it and gamers want it-even if they don't know they want it." Sweeney echoed Bleszinski's comments about Epic's influence, but did so much more delicately. "We're much more in sync with the console makers than any other developer is," he said. "That means we can give detailed recommendations with a complete understanding of what is going to be commercially possible." The Unreal Engine 4 will be unveiled to the public at E3, which runs from June 5 to 7.